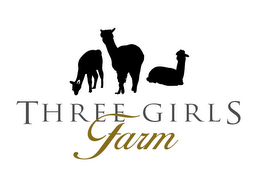 Three Girls Farm: Am I Halter Trained Yet? Am I Halter Trained Yet? I have been working the past couple of weeks training Nebula and myself. Halter training is a skill. Sort of like training a dog. I have learned a lot and it is getting easier, but I still have a lot to learn. One thing I have learned is that alpacas are pretty smart animals. They catch on very quickly and constantly test us humans. I'm trying to learn how to read her behaviors and mannorisms. She really is a sweetheart but I guess we all have our limits. That may be why she spit at my face when I stopped her and stooped down to talk to her about staying behind me. Lesson one: Stand tall and control the animal with body language- they don't understand english very well. Getting in their face is inviting a spit. I have to admit I saw it coming but I was too late to stop it. I will go to the barn today and walk with her one last time before the KY Classic. Mary Jane has been extremely helpful. I could not have done any training without her. She handles the animals very well. I aspire to be like her one day. We are leaving TOMORROW and Mary Jane will not be there for support so I have to get used to this and do it on my own. I really need to stop letting the animal take advantage of my good nature, but she is so cute and too smart!